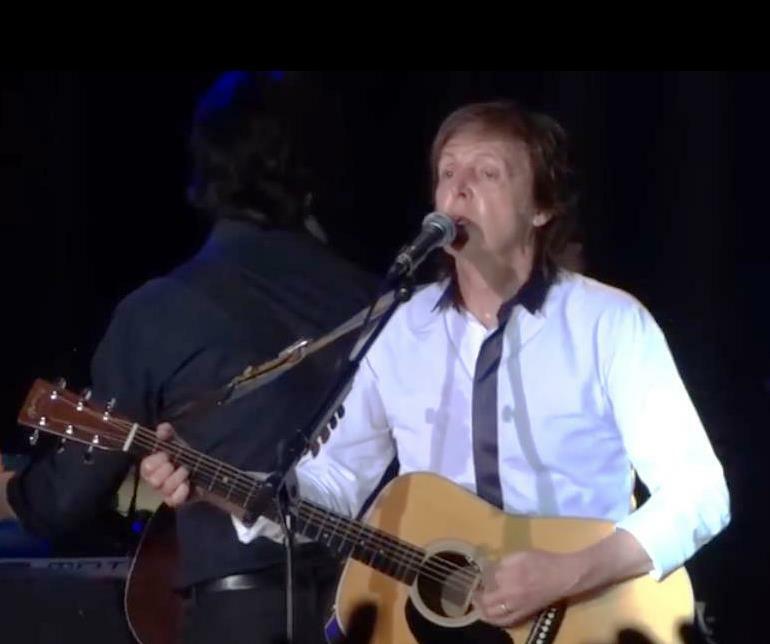 With little fanfare and hardly any notice, Paul McCartney took “Out There” “In There”, to Irving Plaza on Saturday night, where 1000 “true” Macca fans were able to take part in the festivities and enjoy the show. The following report was filed by Beatle Brunch contributor Tom Frangione, who also writes for Beatlefan Magazine. 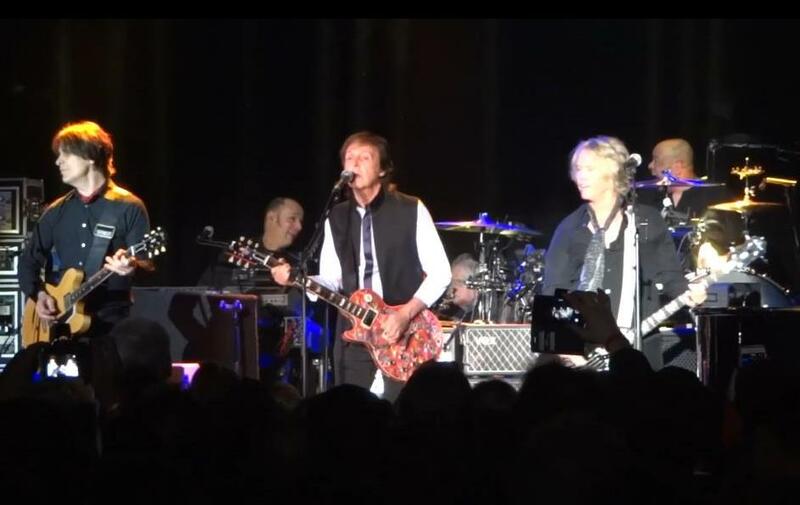 Adding to the already festive atmosphere in The Big Apple this holiday weekend, what with the NBA All-Star Game and the Saturday Night Live (SNL) 40th Anniversary celebration, Paul McCartney delivered fans a surprise Valentine by playing a secret gig at a small downtown concert hall. McCartney has done these last-minute shows here and in other cities, but having one on a night made for lovers seemed all too fitting. A sizable chunk the 1025-capacity hall was taken up by the VIP loge (spotted were numerous SNL folks, including Lorne Michaels, David Spade and Chris Rock along with comedian Larry David, and music friend (Little) Steven Van Zandt. The remaining tickets were distributed to fan club members selected from the paulmccartney.com website registry and via a very limited, cash-on-the-barrelhead, one-per customer numbered-wristband sale the morning of the event. Needless to say, these were snapped up before most fans were even aware of their availability. For those of us selected at random from the website registry, calls were made the night before the show from the Crowd Surge ticket office, advising of the show and that Paul wanted some real fans to be there (recalling the old Wings Fun Club modus operandi). No other details such as the show time or venue were shared; all we were told is that a follow-up email would be forthcoming. A few hours later the email arrived, providing only an address to pick up wristbands (we could bring a guest and get two) between 4 and 9 pm, meaning the show would be a late one. Upon arriving at the hospitality suite to get the wristbands, guests were each given a single long stem rose, and an envelope with foil hearts and some chocolate kisses. Photos were taken of couples in front of a holiday themed backdrop complete with teddy bears, balloons, hearts and flowers. Most importantly, the venue and instructions to line up at 9:30 were also provided. After an intimate dinner, we headed over to the venue, and spotted some other familiar/friendly faces in the queue. The admission process was swift and efficient, and we were in the hall by 9:45. Of course, there was a rush to the front of the standing-room-only, general admission ballroom. While mostly organized, cordial and uneventful, some “packing in” caused at least one fan to pass out during the hour-plus wait for the show to begin. Our vantage point was the equivalent of about the 5th row, just left of center. 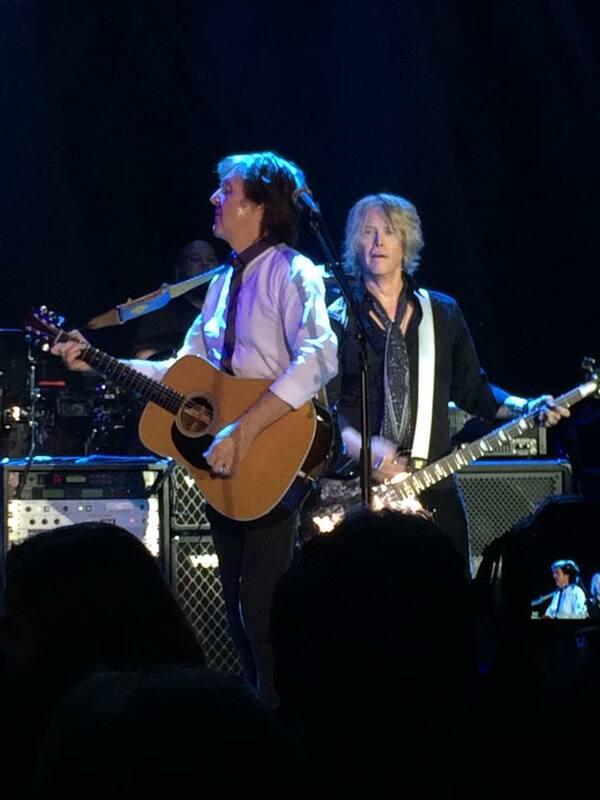 Paul and the band took to the stage just after 11pm, and delivered a tight 24-song / 100-minute set, truncated from the normal stadium/arena repertoire, and with several set list surprises. The close quarters on the stage, and stripped down production made the band seem more “locked in”, benefitting the performance greatly. One After 909 (a rarity. This one hadn’t been played here in NYC since the Apollo Theatre show in 2010. A terrific performance, with only a minor lyric flub / repeated line in the bridge after the guitar solo). Matchbox (while a staple of the sound checks, Paul noted they wanted to play a few that aren’t in the normal set list. Interestingly, Ringo Starr kicked off the latest leg of his All-Starr Band tour this weekend, and this one is typically the opening number). – Yes, in the end, the love you take is equal to the love you make. A befitting ending to the evening. While one could go on and on about other ballads that would have been appropriate for inclusion (“My Love”, anyone ?) it was an interesting set given the omissions of some staples – “Yesterday” and “Band On The Run” among them. But again, this was a decidedly “boutique” affair. And while the rumors of surprise guests – ranging from Billy Joel to Kanye West – proved unfounded, nobody can say they didn’t get their 40 bucks worth. As an added touch, all fans were given a commemorative hard-stock poster as a souvenir of the show upon exiting the venue. 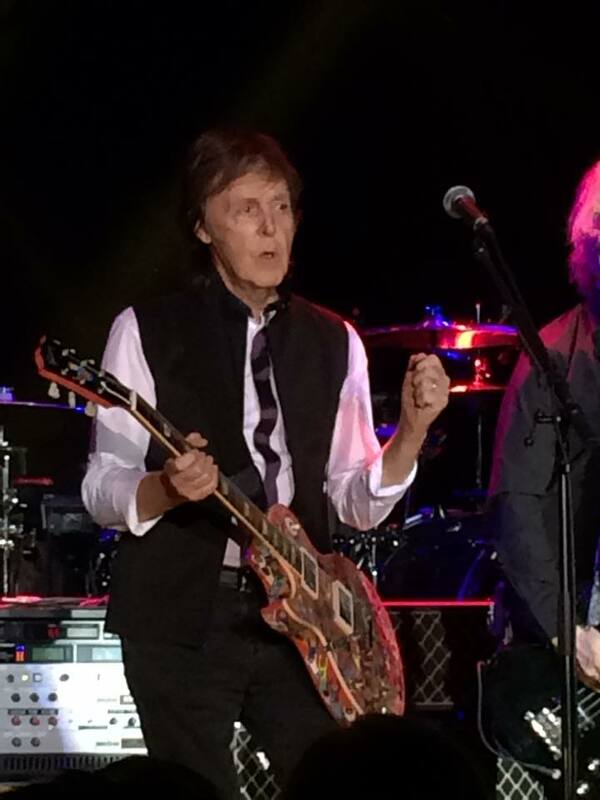 As Paul’s concert travels did not include a stop in New York City this past year (Albany was as close as he got), it was a splendid homecoming.